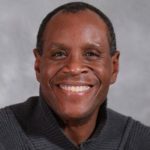 Russell Dennis is helping non profits provide value through his business, RD Enterprises LLC. 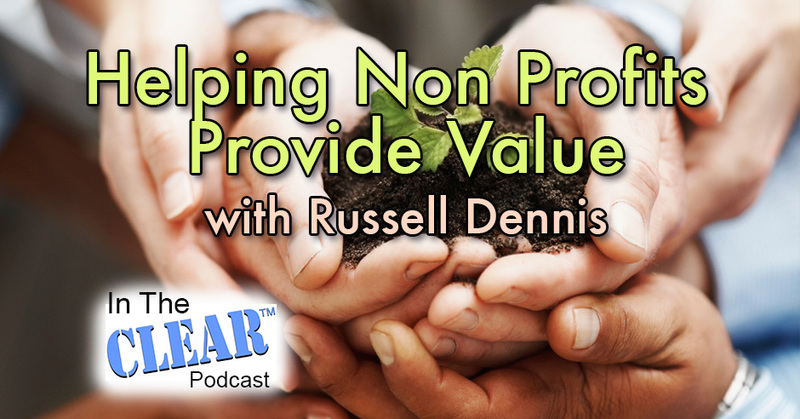 In this episode, Russell talks about the resources that non profits needs, how they can deliver value to the audiences they serve and how to communicate that value clearly for those who want to support the non profit. He also shares how his business is working towards helping small non profits serve their audience better. Welcome to the In The Clear podcast. I’m your host, Justin Recla. Today, we are interviewing one of the members of the CLEAR Business Directory. First off, I’m just going to let everybody know that Russell Dennis is by far one of the most authentic and genuine individuals I have ever met. He’s served his country and now he continues to serve others in his business. His focus is on nonprofits. His business is RD Enterprises LLC. Russell joins us on the show today. Russell, thank you for being here. Thanks for having me, Justin. Russell, we’ve met multiple times and we’ve interacted on several different occasions from events to some special circumstances that we’ve done some work together on assisting some people with some really specialty needs. Your leadership abilities are topnotch. I’m so excited to have you on the show because you bring a value to the nonprofit sector that is so needed. Can you let our listeners know exactly what you do for those nonprofits? Essentially, it boils down to me helping nonprofits find more money and attract more support for their causes so they can help more people. Resources include everything from money to talent. It’s very important. I focus on nonprofits that are smaller, which is a tougher market to serve. I look at those that had budgets under $500,000 and fewer than three employees because they’re out there on the front lines and they need the most assistance generally. They’re doing good work. I want to try to serve those folks. Fantastic. I know you’ve got a very extensive background doing a variety of things and I know the nonprofit sector is one of your passions. What were the reasons that really drew you to work with nonprofits? Not only had I done work around small businesses, but housing, needs assessments, headstart, infrastructure, social programs, just everything. Justin, to be truthful, I had fell into it by accident. As a new college graduate in the mid 90s, I ended up going to work for the Aroostook Band of Micmacs, a federally recognized Native American tribe. I had friends that were Micmac Indians. They knew I was going to school and they said, “You’re going to school for business, you could really help us.” I stumbled into it, and what I didn’t know was that a federally recognized tribal government is pretty self-contained, it’s almost like a state federal and city accounting government all rolled up into one. I walked in, my title was Director of Economic Development. I ended up with a Department of Education grant on my desk day one. By the time the smoke cleared, not only had I done work around small businesses, but housing, needs assessments, headstart, infrastructure, social programs, just everything. I love it. What’s neat about your skillset is oftentimes, small business owners will find that they’re just too close to the situation, especially a nonprofit who’s got the added stresses of generating revenue and coming up with funds. To have somebody like you who can put a fresh set of eyes on things, to identify some creative ways on, “Where can we find these resources? What’s some ways that we can structure this? How do we do that?” That’s so important for those organizations to be able to have somebody fresh like you to bring into their business. The most important asset that any nonprofit will have is people. Like other businesses, developing your people is critical. A lot of the smaller nonprofits don’t have the resources to do that. When you start, it’s critical to have people, not just on your board, but advisors and other people who have skillsets that offset the ones that you lack. Collaboration is the key to doing that and talking to the right people, people that have the same values and want to see the same things accomplished. Your people are your biggest asset. When you’re out there raising funds for a cause, it’s really no different than a venture capital or going to a financial institution for money. What venture capitalists generally bet on is the team that you’ve assembled to put a venture together. When people are donating money to nonprofits or writing grants or giving grants to nonprofits, essentially they’re betting on your team and your ability to serve the people that you set out to serve. Absolutely. Having you a part of the team is one of those extra added layers, not only because of your leadership skills, but you operate transparently. Again, you’re one of the most authentic people I have ever met. We’re proud to have you a part of the CLEAR Business Directory. 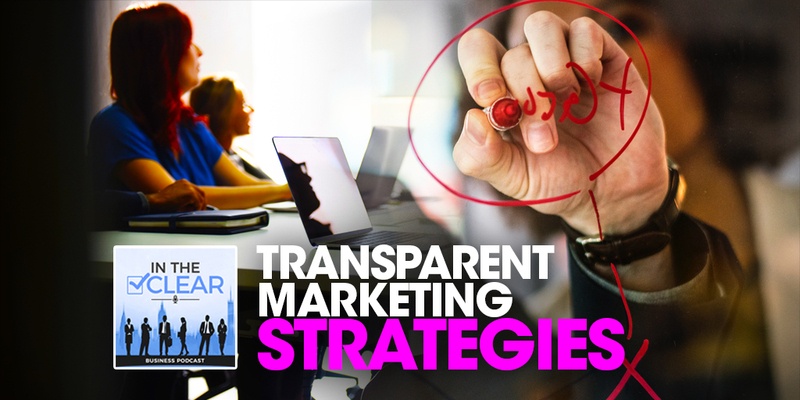 The value that you bring to those businesses, those nonprofits and the message that you carry forward also of operating transparency. 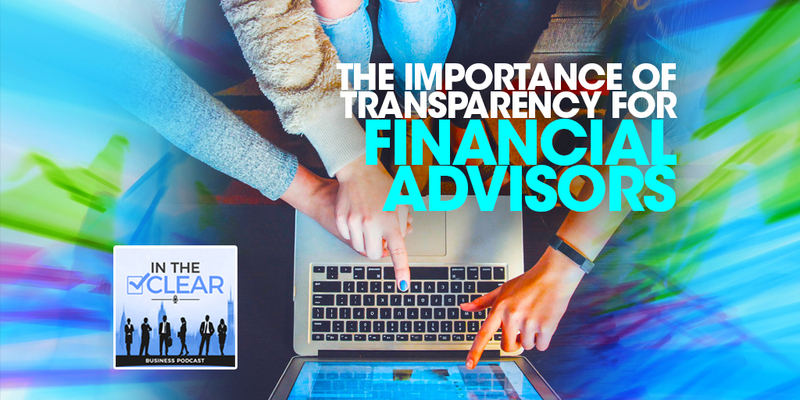 The nonprofit sector has gotten hit pretty bad over the last three to five years with individuals calling certain entities out on their authenticity and the transparency of where the money that the nonprofit raises actually goes. It’s really important to have that transparency and have people establish some confidence in what you’re doing. We’ve heard all sorts of things, particularly around Wounded Warrior, the veterans’ organization. That was a very big hit. It’s really important to have that transparency and have people establish some confidence in what you’re doing. It’s tough, especially for smaller and newer nonprofits. People generally won’t give you a chance. They don’t know enough about you, they don’t know enough about your track record. You have to inspire confidence any way that you can. The other word that you said earlier that almost never hear in any nonprofit discussion is the word ‘value’. It’s not a corporate term. Nonprofits, like profit making entities, deliver value to the audiences they serve. There’s primarily two. Those would be the people that receive the services directly and who are paying for them. It’s important. To raise money, you really have to communicate that value. When you’re looking for funds, you have to instill confidence that they’ll be used wisely and find out what’s valuable to people that might want to volunteer. Why would somebody volunteer for your organization? Why would they donate to your organization? What’s in it for them? The word ‘best value’. 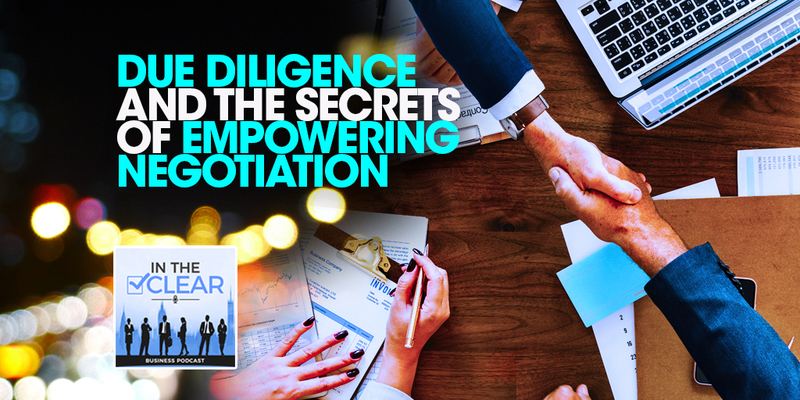 When you can communicate that value clearly, you’ll be able to attract the people that you need to help you earn the funds. Absolutely. That value, like you said, it stems a lot of the times from the people that are involved. Again, the smaller nonprofits are the ones that are going to face the biggest challenges and they’re lucky to have you out there to be able to service their needs and assist them with some of their challenges. Russell, you’ve been in business for quite a while, especially in the nonprofit sector. In your time in the business world, is there anything that you wish you can go back and do over again or where you learn faster? Is there anything that comes up for you? What I would like to do is if I had it to do again, would be to step back and try to be more proactive in planning. My time with the Aroostook Band of Micmacs was the baptism by fire. If I had known more about using or looked into more diverse sources of funding, looking to fill those skill gaps in other ways, finding more ways to collaborate with other entities, it really would’ve served us a lot better as far as being able to put some programs together. That’s one of those things. If you could go back and learn that again and do that over, will we get along to where we are a lot faster? That’s absolutely fantastic. Russell, what is one thing you want to communicate to our listeners about who you are and what you do that if you could share that one thing about you and your business and how you serve people, what would that be? When people come into your office, you have to see the whole person because there’s a whole set of problems. Aside from my time with the Aroostook Band of Micmacs, I spent five years as an IRS auditor. These two things have to come together. When people come into your office, you have to see the whole person because there’s a whole set of problems. They might come in to me initially to talk about starting a business, but I happen to know some of those people were looking for assistance with heating, they lived in substandard housing, their children were trying to get their educations. You have to see a whole person, you have to look at people with compassion. What I learned in my time at the IRS though is it’s important to have systems and accountability. You have to do that in order to be effective. I think we’re seeing a shift in not only in nonprofits, but in businesses across the board that are just raising the bar on how business gets done and reconnecting with individuals and coming from a compassionate place and operating in authenticity and transparency. Fortunately, there are individuals like yourself who are out there leading the way in that new way of doing business. Russell, is there a website that we can send members to that they can go check out and learn a little bit more about your services? They can go to RussellDennis.com to learn a little bit more. That’s my website. I am on a number of platforms, Facebook, Twitter and LinkedIn with the username RmanRussDen. I have that username for both Twitter and LinkedIn. I’m on Google+, I’m on GoRead, GoRead.com/RmanRussDen. But RussellDennis.com is a good place to start. I’m everywhere. I’ve tried to put out information on operating nonprofits. I write articles to that effect. If somebody would like to schedule a discovery session, they can schedule one on my website that links right to my calendar. I’m happy to have a 30 minute discovery session with anyone that is operating a nonprofit that would like to just chat. No pressure, just have a chat and talk about where they are and what they’d like to accomplish to see if I can offer them some new things to consider and some alternatives. I’ve written some articles on things to consider before you start a nonprofit. I just posted one on LinkedIn today, 7 Alternatives to Starting a Nonprofit. If you’re a person of purpose, there are a number of different ways. Check that out on LinkedIn. Fantastic. Absolutely fantastic. If you want to get a free session, free 30 minute session with Russell, reach out to him on his website RussellDennis.com or check out his profile in the CLEAR Business Directory at ClearBusinessDirectory.com. Russell, thank you so much for being on the show today. I look forward to seeing you again soon. Always a pleasure, Justin. Thank you very much. Learn more about Russell Dennis.